J.O. Heflin, age 85 of Altus, Oklahoma and formerly a longtime resident of Hollis, Oklahoma, passed away Thursday, September 6, 2018 at Jackson County Memorial Hospital in Altus. J.O. was born in the Metcalf Community, Harmon County, Oklahoma on March 19, 1933 to his parents Robert Martin Heflin and Mattie Clesta (James) Heflin. J.O. graduated Class of 1952 from Ron High School where he was a standout basketball and baseball player. Shortly after high school J.O. served his country in the United States Army during the Korean War and was stationed at Fairbanks, Alaska and received an honorable discharge in 1955. After he returned home from the Army J.O. married the love of his life Frances Wiley on June 18, 1955 at the Metcalf Baptist Church and they have enjoyed over 63 years of marriage. J.O. farmed and ranched, carried mail, worked at the local cotton gins, and the 7-L ranch. In 1960 they moved to Hollis and J.O. continued farming and ranching until he retired. He was a longtime member of the Hollis First Baptist Church where he served as an usher for 30 years. J.O. served on the board at the Harmon County Coop, was a member of the Cattlemenâ€™s Association, and later was a member of the Texas Cattle Feeders Association where he was part owner of a cattle feedyard. J.O. enjoyed being a farmer and rancher, the weekly family weenie roast, fishing, and spending time with his friends and family and he will be missed very much. Preceded in death by his parents; his brother, Duane Heflin; his great granddaughter, Kenleigh Rose Loomis; sisters-in-law, Rosie Sanford; Louise Scott; and Doris Wiley; brothers-in-law, Wesley Wiley; Bob Sanford; and G.B. Wiley; J.O. 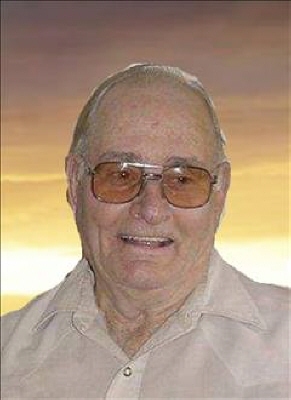 is survived by his wife Frances Heflin; his three sons, Rodney Heflin and wife Nancy of Dodson, Texas; Randy Heflin and wife Renee of Derby, Kansas; and Ricky Heflin and wife Amber of Woodward, Oklahoma; two sisters, Maudie Meek of San Jose, Costa Rica; and Jorene Woodman of Canyon, Texas; seven grandchildren, James Rustin Heflin and wife Lyndsey of Catoosa, Oklahoma, Reece Landon Heflin, and Reagan Brooke Hightower and husband Zach of Dodson, Texas; James Wade Heflin and wife Amy of Andover, Kansas, Robert Tanner Heflin and wife Kelly of Stillwater, Oklahoma, and Weston Lane Heflin and wife Courtney of Derby, Kansas; Rose Ann Loomis and husband Matt of Mooreland, Oklahoma; eight great grandchildren, Jax, Campbell, Frankie, and Emma; Grace, Charlie, and Karter; and Hudson; sisters-in-law, Tommie Frances Heflin of Marshall, Texas; and Donna Wiley of Hollis; brother-in-law, Hardy Scott; as well as numerous nieces and nephews, other family members and friends. The family will greet friends at visitation from 3:00 pm until 5:00 pm on Sunday, September 9, 2018 at Harmon County Funeral Home in Hollis. Funeral services will be at 2:00 pm on Monday, September 10, 2018 at the Hollis First Baptist Church with interment following at Dryden Cemetery, Harmon County, Oklahoma. In lieu of flowers please make memorial donations to the Dryden Cemetery Fund, 221 East Walnut, Hollis, OK 73550. Funeral arrangements are under the direction of Harmon County Funeral Home, Hollis, Oklahoma. To send flowers or a remembrance gift to the family of James Orville Heflin, please visit our Tribute Store. "Email Address" would like to share the life celebration of James Orville Heflin. Click on the "link" to go to share a favorite memory or leave a condolence message for the family.